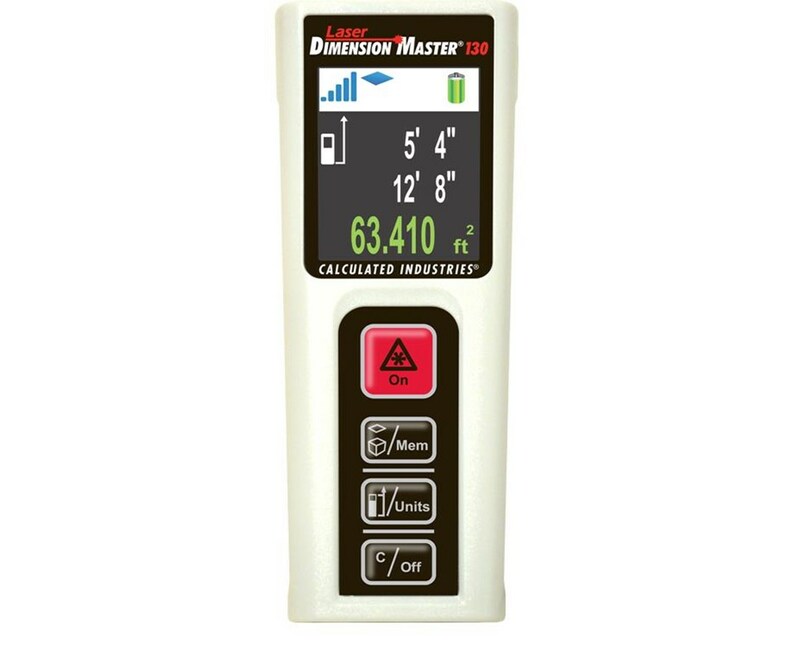 The Calculated Industries Laser Dimension Master 130 is an electronic tape measure that uses laser beams to determine distance, areas, and volumes. An alternative to traditional tape measures, it measures up to 130 feet with 1/8” accuracy or better over its entire range. 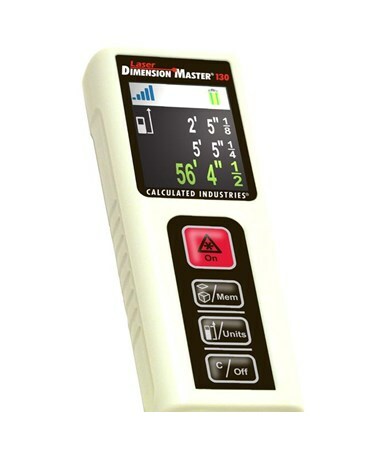 It is the ideal tool for estate agents and brokers, appraisers, architects, contractors and builders, electricians, carpenters, plumbers and interior designers, or anyone who needs quick accurate measurements. 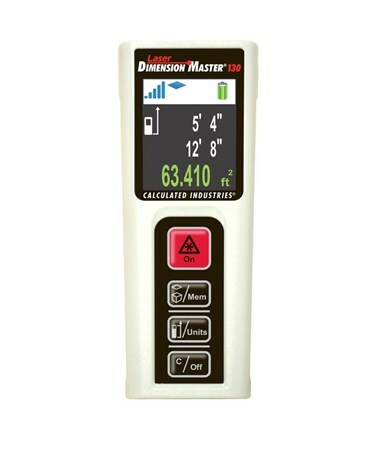 Built with a large bright easy-to-read display, the Laser Dimension Master calculates measurements in seconds. This laser distance measure is capable of memorizing the last 10 measurements, weighs approximately 1/5 of a tape measure, and has a battery life of more than 3000 measurements. It measures distances in feet-inches, decimal feet, inches or meters. 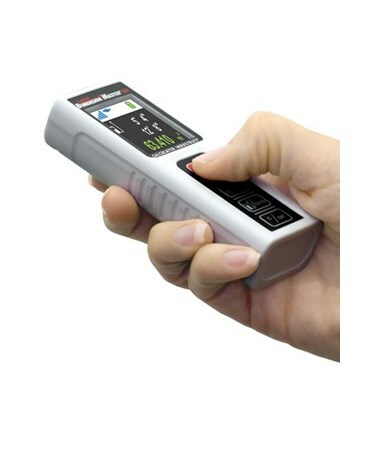 This Calculated Industries laser measuring tool is convenient to bring and use in hard-to-access areas because of its small space. It automatically shuts off after 4 hours of idle time to save on battery power. 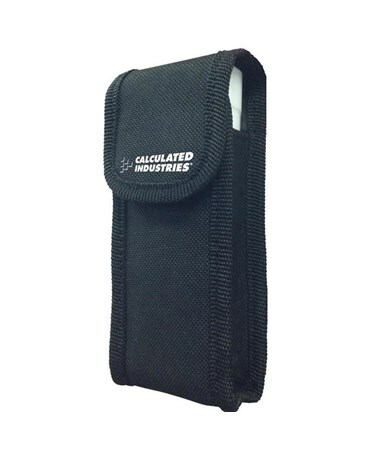 The set also comes with a protective case, wrist lanyard, 2-year warranty and 2 AAA batteries.